The explosive Transformers saga continues with Bumblebee. With the fate of Earth at stake, heroes must rise in an epic struggle to forge a future for all. 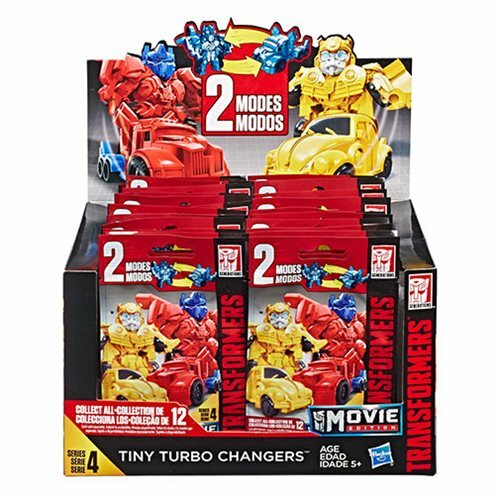 Join the action with this Tiny Turbo Changers collection. 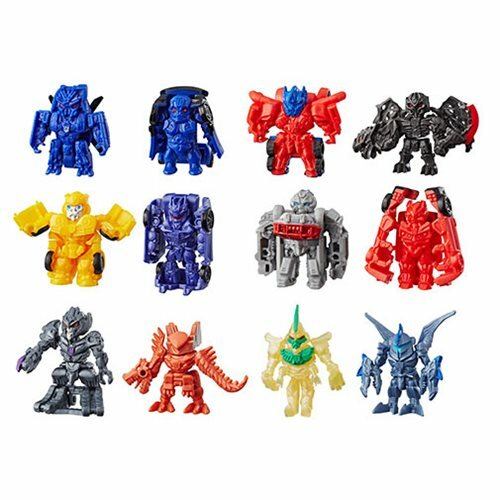 Tiny Turbo Changers figures deliver fan-favorite characters from Transformers movies in a collectible 1 1/2-inch size Get ready for an epic lineup of convertible figures. Each figure converts in 1 to 3 easy steps. Grab a piece of the Transformers lore and become part of the legend. Figures may include: TBD. Set includes 6 random individually packaged figures. Ages 6 and up.